The Body Shop Oils of Life Sleeping Cream, review, price, ingredients, photo. 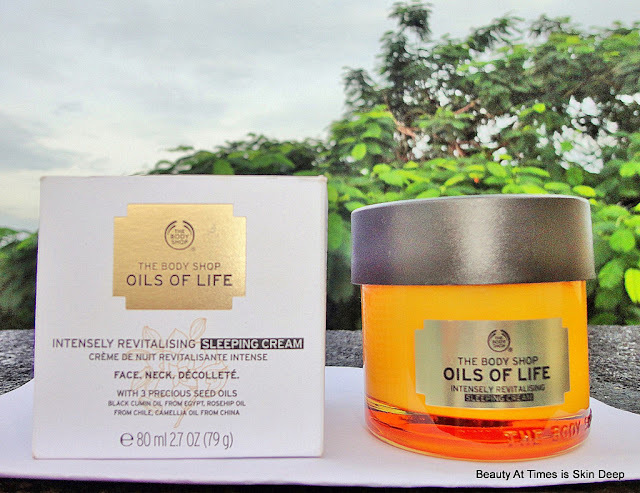 By Sramana: The Body Shop is known for launching new products in their skincare , bath & body sections almost every other month. 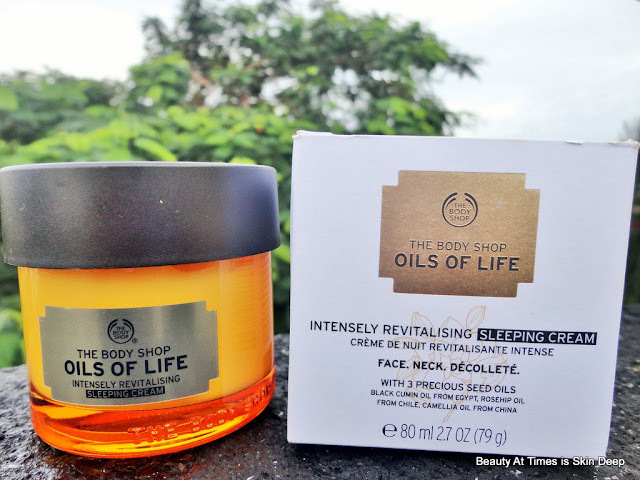 Their latest launch is 'Oils of Life' Intensely Revitalising Sleeping Cream in their widely appreciated 'Oils of Life' range. I was quite excited to try out this cream because dullness is something I always struggle with. I am a firm believer in a good night care routine, since that’s the time when your skin gets the best nourishment and also repairs itself. 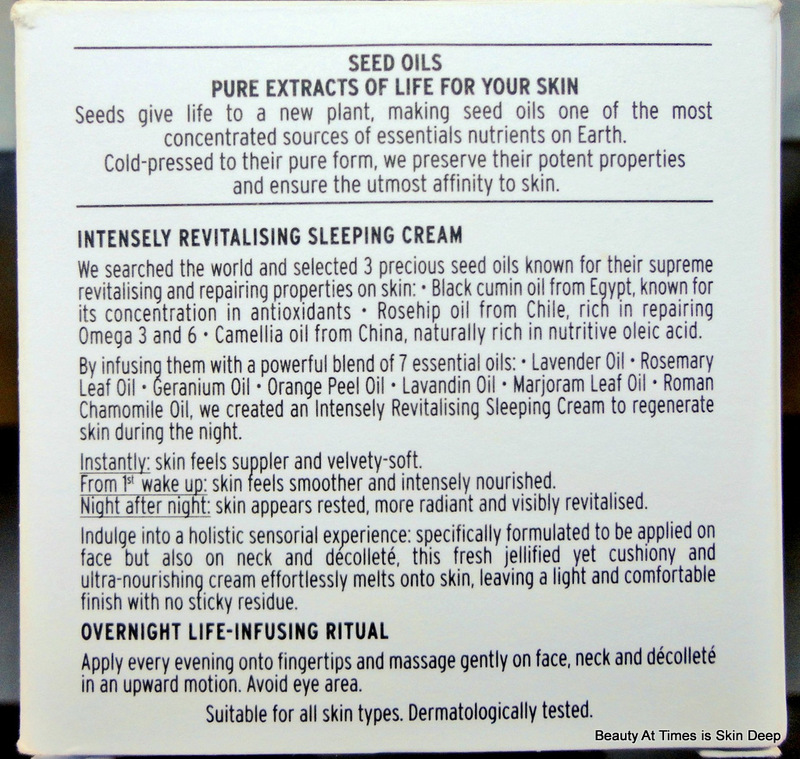 I tried this 'Sleeping Cream' ( I loved this name instead of the usual Night Cream ) for almost three weeks now and will share my experience with you all. herbal scent which isn’t bothersome. 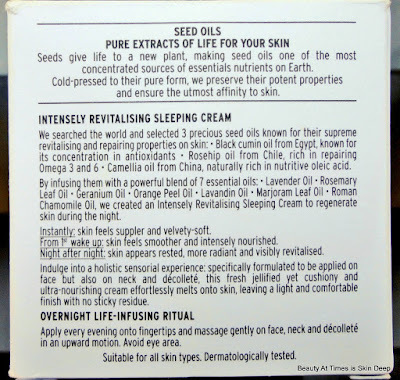 Ingredients : As other products in the 'Oils of Life' range, this Sleeping cream also contains 3 precious seed oils ( Black cumin oil from Egypt, Rosehip oil from Chile & Camelia oil from China ) by infusing them with a powerful blend of 7 essential oils ( Lavender oil, Rosemary Leaf oil, Geranium oil, Orange Peel oil, Lavandin oil, Marjoram Leaf oil & Roman Chamomile oil ). Although this night cream has creamy-gel like texture, my facial skin takes 10 -15 seconds to completely absorb the cream. It is slightly heavier than a day cream which it should be owing to the fact that it performs as a heavy duty night cream. My skin feels pampered after little massage with this cream. It completely sinks into the skin without leaving extra greasiness on the skin. There is no over the top feeling with this cream as it is very comfortable on my face. Also, unlike most night creams this one does not sweat. So, oily skinned girls can also apply. And since the packaging does not specify any particular skin type so I feel all girls can use this perfectly. As this night cream does not smell anything bothersome, there are no worries for sensitive noses. Only a little of the cream is required per usage. So, a single jar will easily survive you for months. 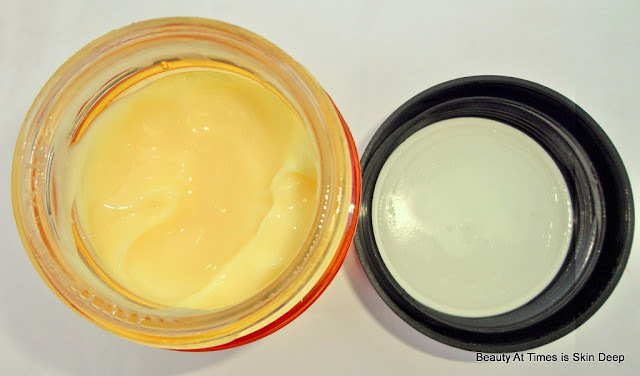 My facial skin is quite sensitive but this cream never broke me out or clogged my pores. Instead, it hydrates and moisturizes my skin just perfectly and I wake up with glowing, fresh-looking skin the next morning. The Intensely Revitalizing Sleeping Cream can be used on its own but I also tested it along with the Intensely Revitalizing Facial Oil. I mixed 3-4 drops of Facial Oil with the cream & gently massage the same. Obviously little extra effort is needed for absorbing this combo but the glowiness definitely gets improved further. This combo may not work for Oily skin or during summer. It works wonderful for my skin. It does make my skin glowy, soft and supple in the morning. 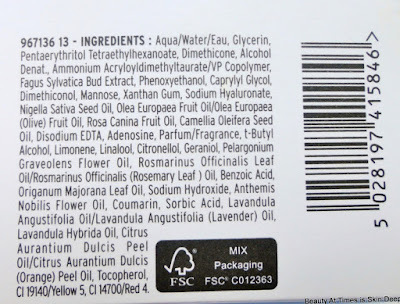 Has no strong smell.If you are fond of herbal smells like me you are going to love this smell. Spreads with little massage necessary for night pampering of skin. Absorbs completely leaving no greasiness. One jar will last for almost 3-4 months for regular usage. PRICE , PRICE & PRICE ! 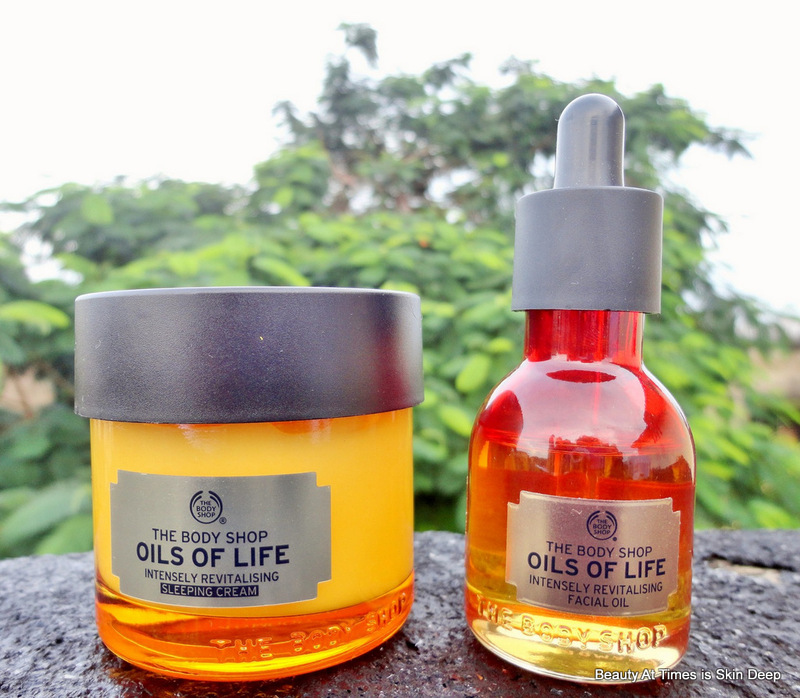 For 80 ml 2,495 INR is way too much! If you disagree to shell out this much, try Himalaya Herbals night cream -super effective & super affordable. I started using this cream in Monsoon season when the weather is humid but not as hot as summer. The cream might feel a little heavy & uncomfortable during summer season. Do I recommend this? YES if only your pocket permits this huge hole. Shall I repurchase? Not immediately as all major skincare brands are coming up with new products every now and then. The Body Shop itself is introducing new ranges almost every month. I love trying new products. This will remain in my wishlist & sometime in future, I may repurchase. Have you tried this range? Your thoughts ? Do share in the comments below. Sramana used to be a long time silent beauty obsessed silent reader of this blog. This beautiful lady feels passionately about cosmetics and the need of pamper. She has recently joined to occasionally contribute to this blog which is wonderful because different voices would make this space richer and keep things more interesting. You can already feel her enthusiasm because right in this first post, she writes like a seasoned blogger. Do not be fooled because she is as much taken by beauty products in the market as we all are over here!